What Types of Roof Do You Work With? Here at Pioneer Roofers, we do pitched roofs and flat roofs for residential and commercial applications. Pitched roofs give you the traditional home feel. They’re also efficient at getting rid of rain water. Flat roofs offer versatile space for green roofs and occupiable space. Great for both commercial and residential applications. Are you choosing the right local roofing contractors? Roofing contractors in Portland aren’t created equally. 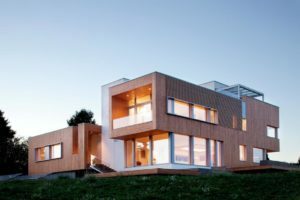 You have to ask yourself—what can my roofing contractor do for me? Quality materials, construction, and affordable pricing matter most. That’s why so many people choose Pioneer Roofers. Our name says it all. We’re at the forefront of roofing best practices, revising our personal standards to reflect the evolution of the industry. This includes utilization of the best materials. The exceptional quality of our construction is mirrored by the products we use to build it. As new technology becomes available, we learn it and test it. This ensures we offer the best to our customers. When we find ways to increase efficiency that amount to savings, we always pass them along. Roofing services are more affordable than you think. Call us now for your free estimate! With vast experience working on both home and commercial projects, we can design, build, and maintain any style of roofing. Our designers are happy to help you identify the right roof for your needs. Whether you need a tear-off or new construction, the right roof makes all the difference. Our workmanship is guaranteed. We only use high-quality materials. Better quality means your shakes, shingles, and panels last longer and protect better. Experience matters. 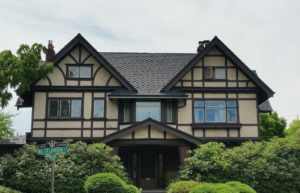 We’ve been performing residential and business roofing in Portland for over 20 years. You can count on honest, reliable advice after a roof inspection on any repairs you may or may not need. Sometimes just a small section of your roofing may need work to replace cracked or missing tiles, shingles, or other roofing materials. Other times, the more efficient and cost-effective way to go is with a full tear-off and replacement, rather than deal with ongoing spot repairs over and over. In either case, you can count on our roofing contractors for open communication about the state of your roof and the best course of action to maintain it. We strive to provide exceptional workmanship in any condition, even emergencies. This beautiful city isn’t always shining, but that doesn’t have to bring your project to a halt. As experienced roofing contractors, we work around inclement weather, making sure your project stays on target and on time. When you’re looking for friendly service, reliable workers, and guarantees you can truly trust, we deliver. Our business was built on integrity and excellent craftsmanship. We offer upfront pricing, in writing. Our staff and contractors are knowledgeable, approachable, and happy to answer any of your questions. Satisfied customers don’t just help us grow, they make the job worthwhile. That’s why our goal is to raise the bar for what it means to be a roofing company in Portland. Call or contact us today to schedule an inspection with our dedicated roofers and see the difference we can make. Our services include flat roofs, garden roofs, commercial roofing and so much more. Contact us today and let us know what we can do for you.